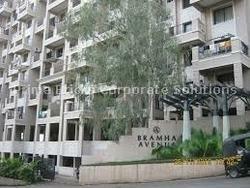 Prime Bricks is a leading property portal of India it is Pune base firm. We deal in all types of properties specially in projects of Pune & Mumbai. You can find us as transparent and professional associate. Primebricks.com is a Private asset of Corporate Solutions its owner is Aarif (Abdul Gani SK) on this site you can find any type of property in few seconds and some clicks, you can also post your property if you have any as agent or owner and that you post unlimited properties, we request to you that kindly share this portal with your nearer and dearer we assured that you will satisfied with our service we never charge for any registration or posting we are happy to serve you.